It is always interesting to observe the works of artistic giants, and at the Blain Southern Gallery in central London two such figures are on display together. 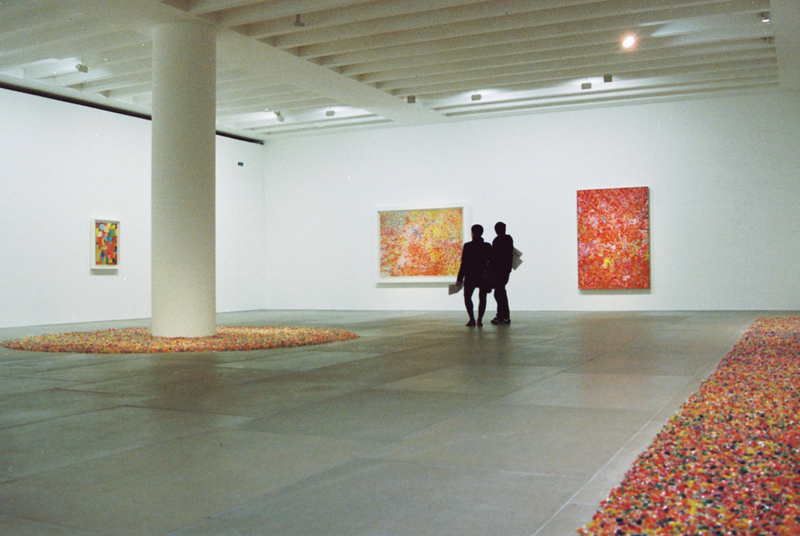 Visual Candy is a group show of works from Damien Hirst and Felix Gonzolez-Torres on until the 30 November. Pictures by Margarida Amorim. 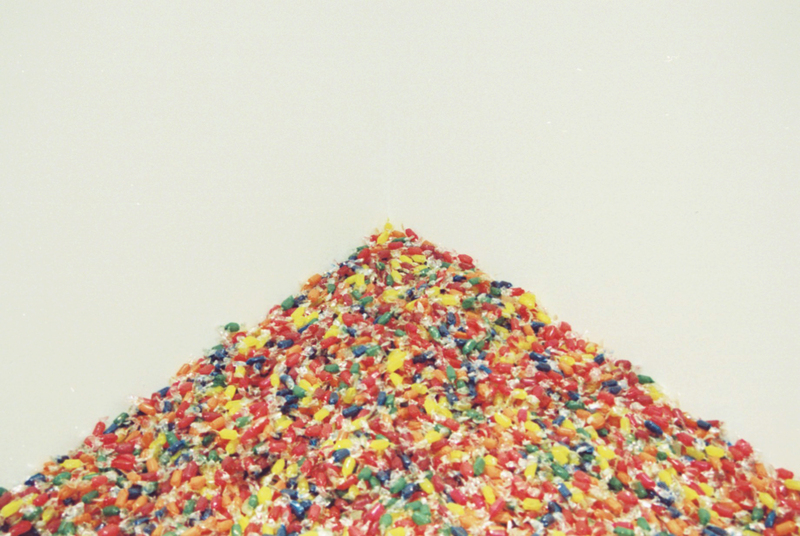 Felix Gonzalez-Torres, “Unitited”, 1992. Candies individually wrapped in variously coloured cellophane, Endless supply, Overall dimensions vary with installation. 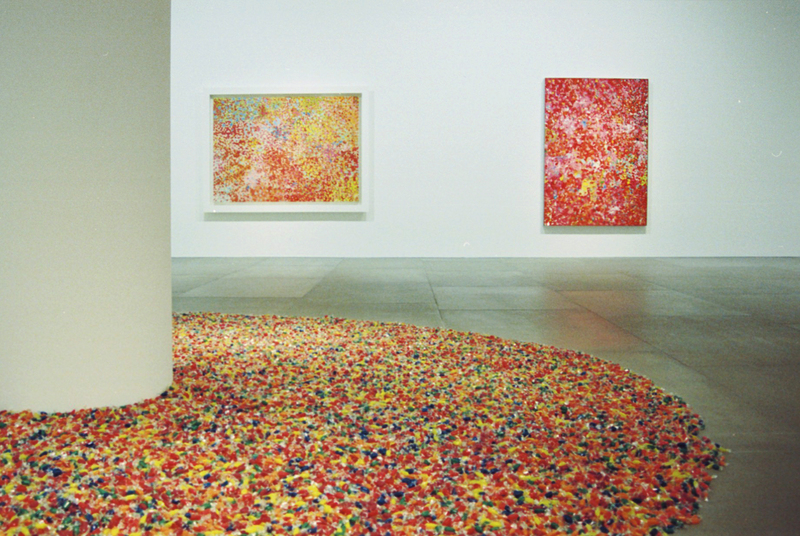 Damien Hirst, “Super Happy Happy Dappy”, 1993. 154.4 x 213.4 cm. & “Happy Fat Dappy Dappy”, 1993. 183.5 x 153 x 5.1 cm. Felix Gonzalez-Torres, “Unitited”, 1992. Candies individually wrapped in variously coloured cellophane, Endless supply, Overall dimensions vary with installation. 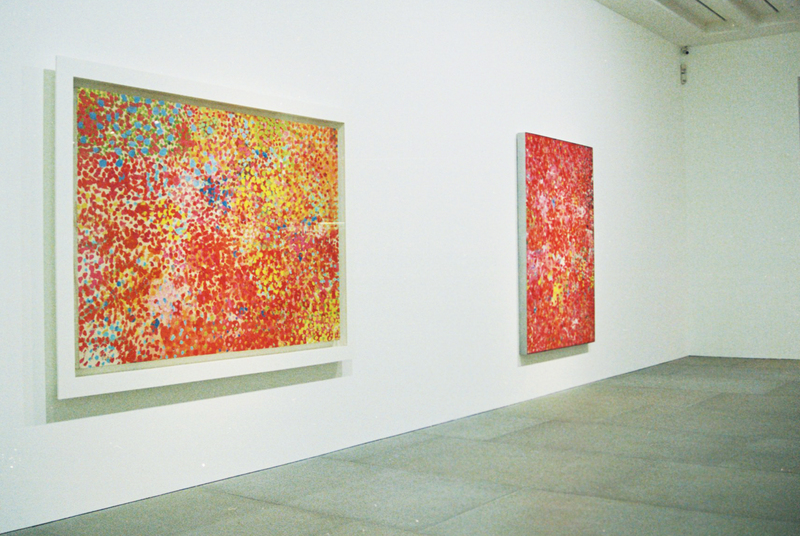 Painting from left to right Damien Hirst, “Hot Fun”, 1993. Oil on canvas. 85 x 61 x 5 cm; “Dippy Dappy Dabby”, 1993. Oil on canvas. 85 x 61 x 5 cm. 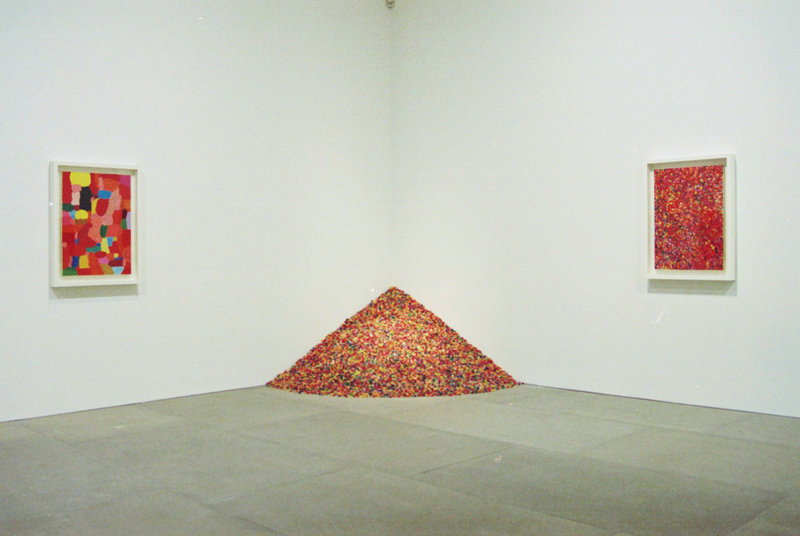 Felix Gonzalez-Torres overlooking Damien Hirst.